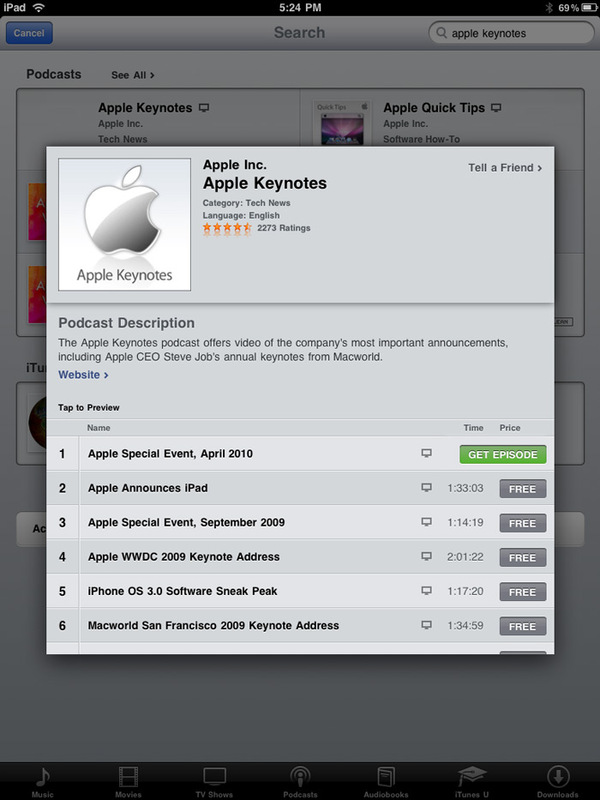 Open your iTunes Store app, search Apple Keynotes and download the April 2010 Podcast for free. Then open your iPad Videos app and get the EL Jobso party started. You can also choose to stream the video by clicking on the title only (rather than Get Episode). posted for viewing as well.